Is there anything cooler than the long sweeping hood line of a 1970’s Chevrolet Monte Carlo? I will admit that it’s not my dream car or anything, but the huge bulging fenders and overall large shape of that car pretty much defines what I think of when it comes to 1970’s style from GM. It’s kind of a shame that I don’t see too many of them around today – as each year passes, I get more and more nostalgic for those old 1970’s land barges from the big three here in the US. Ever since Ford unveiled the all-new retro-styled Mustang in 2005, I’ve always hoped that General Motors would do something similar with the Monte Carlo. The 90’s version they came up with was downright ugly IMHO, with odd proportions and looks borrowing too much from other GM cars of that time period. What they needed to do was do a ground-up redesign, going way back to the roots of this iconic sport / luxury cruiser. Unfortunately, I don’t think they have any plans of doing that. Therefore, I thought it would be fun to give it a try for myself. 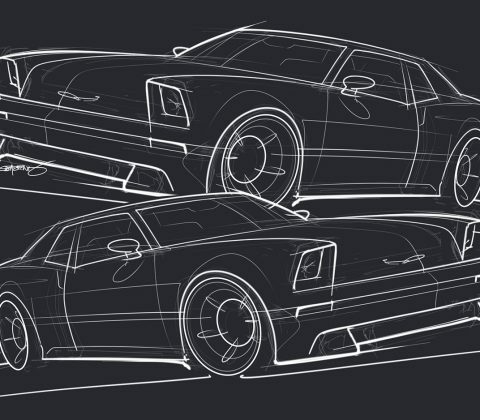 Just like the Pontiac Trans Am resurrection I posted a while back, I tried to keep as many design details of the original Monte Carlo as I could for this new design. 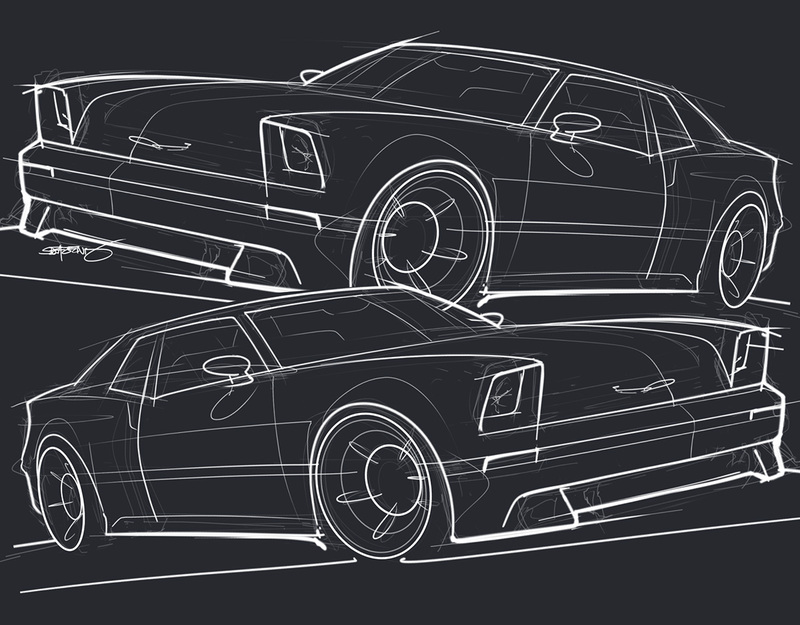 It ended up being more like the 80’s version (at least in regards to size and proportion), but I tried to maintain those glorious 1970’s fender flairs and bulges as best I could for a car of this size.